The members of the band are all professional musicians who came together from academic, formal, semi-pro and session music backgrounds, to form one of the liveliest bands in the UK Irish music scene today. They generate a vibrant and energetic atmosphere at live performances guaranteed to have you up on your feet dancing and singing or more usually both at the same time. 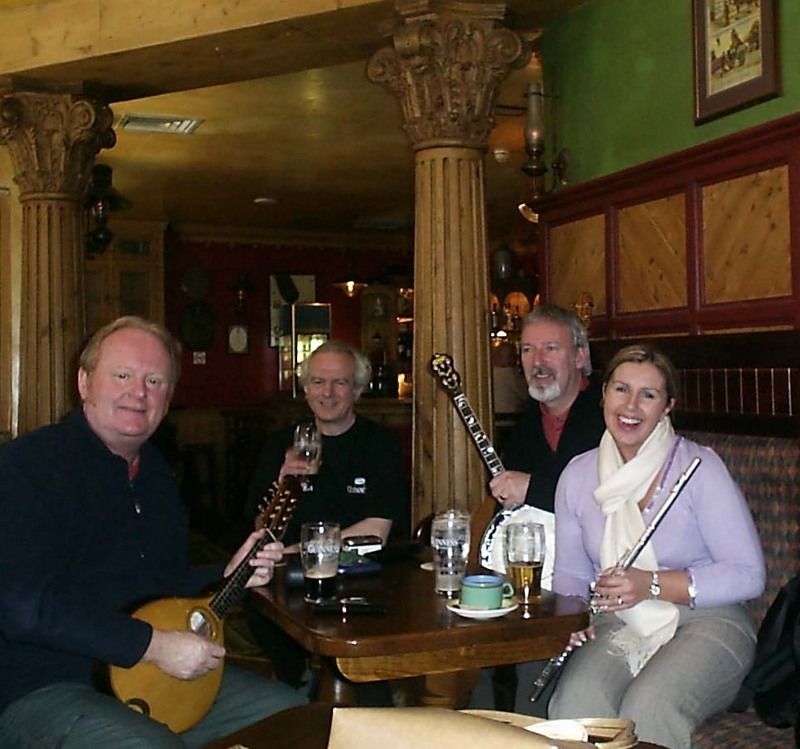 Beer for Breakfast are a four piece Irish Band, who play a fantastic and lively range of Traditional and Contemporary Irish Music as well as Celtic Rock and Country Rock & Roll. We also specialise in Ceilidhs and have excellent Callers for all types of Ceilidh, whether you want your Ceilidh to have an Irish, Scottish or English flavour! We can supply a demo CD and references, or you can come to see us play live! We can also play unplugged for that special occasion and are available to play 7 days per week throughout the UK, Ireland and the Continent.